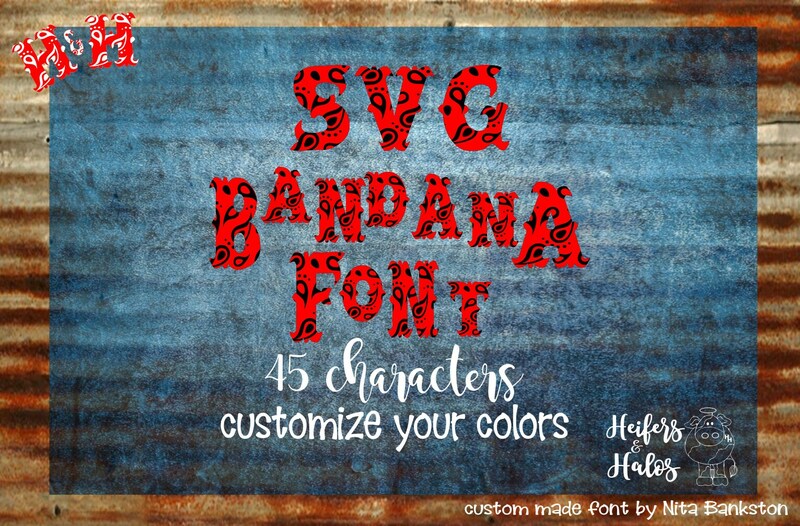 Bandana SVG Font - custom made by Heifers and Halos! This file comes as an SVG only. 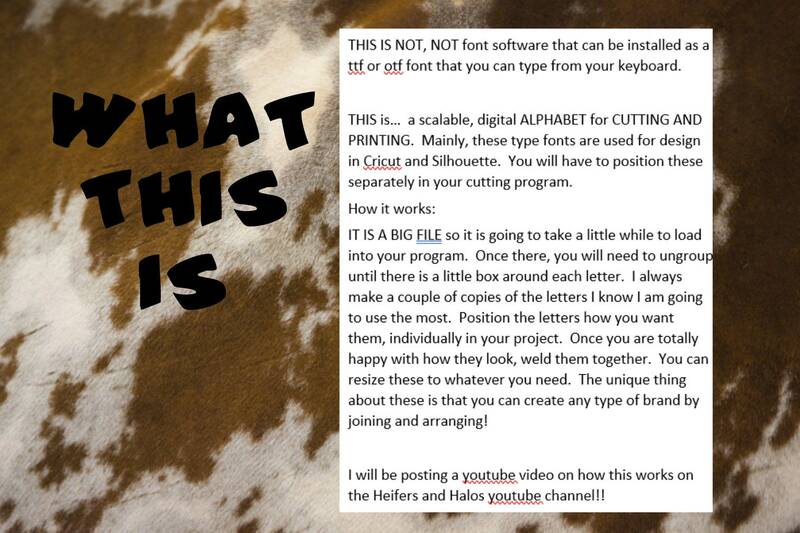 You can customize the layers to whTHIS IS NOT, NOT font software that can be installed as a ttf or otf font that you can type from your keyboard. 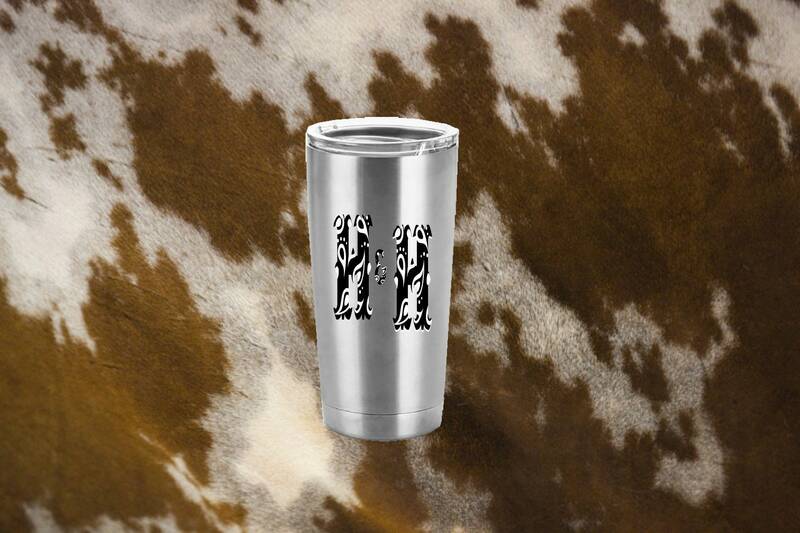 It contains 47 characters per zip! 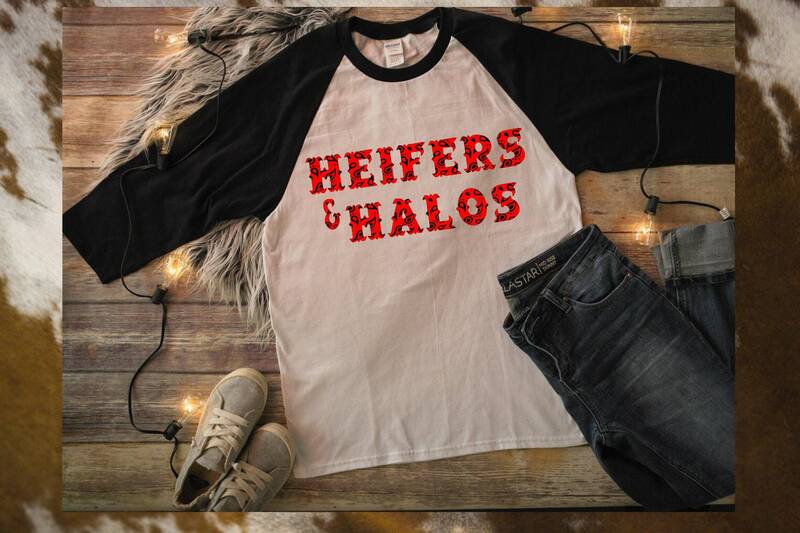 Heifers and Halosatever color you wish. 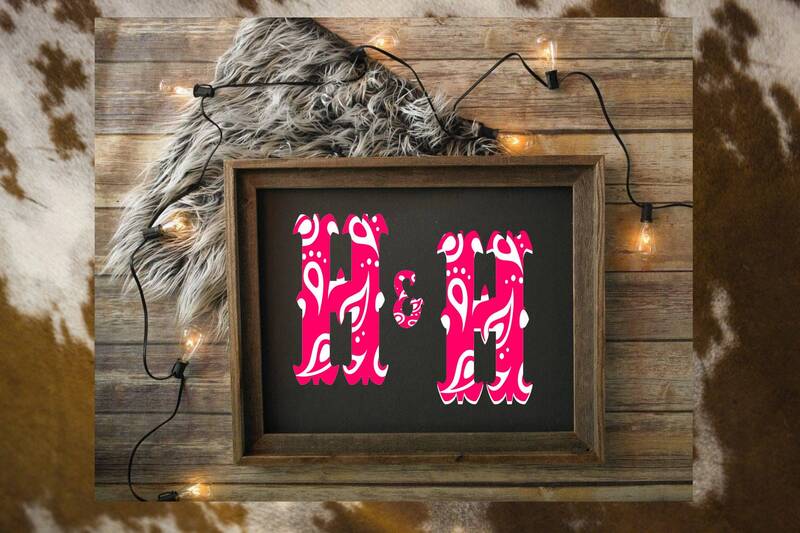 This font is great for t-shirts, decals, cups, pillows, printables, cards, stickers, etc.